Hearing loss can be a major impediment in a person’s life. Deafness in one or both ears might be a cause of reduced understanding and embarrassment. There is no doubt that hearing aids have significant benefits. Just like every other equipment, there have been momentous advancements in technologies of these aids. Many people prefer to cling to the old style of aids, failing to realize the improvement which has taken place over the years. Sleek designs have arrived in the market, which can be placed deep inside the ear canal making the hearing aid almost invisible. There are some which are more powerful and can eliminate unwanted sounds, like the whistling of the wind. The best solution is to opt for one that suits the user. As many options are available these days, it might get a little confusing at times to make a decision. When you start looking for a hearing aid for the first time, you may not be too conversant with terms like RITE, BTE, ITE, ITC and CIC. There’s no need to worry. It’s no rocket science. The specialist can clear all your doubts. Among all the different types of hearing aids, the two most accepted broad-based categories are BTE (behind the ear) and RIC (receiver in-canal). Just a little explanation will help you choose what’s right for you. BTE and RIC have numerous common features but RIC has quite a few unique advantages. In a BTE a tube connects the hearing aid to a customized earpiece or an ear mold which bends over the top of the ear attached to the case, which houses the electronic parts placed behind the ear. New designs of BTE hearing aids are sleeker and appropriate for all kinds of hearing loss. The RIC and the RITE (receiver in the ear) hearing aids are not basically different from the BTE. But the small size of their receiver often places them higher in user preference. According to what you choose, it is either placed in your ear or the ear canal and not behind the ear. In these technologies, the tube as seen in BTE is replaced by a thin wire which sends the sound. Along with being more discreet in design, the RIC and RITE hearing aids offer exceptional sound quality. The RITE (receiver in the ear) hearing aids are becoming very popular day by day as they combine power and great design, and can be fitted with custom ear molds according to individual needs. 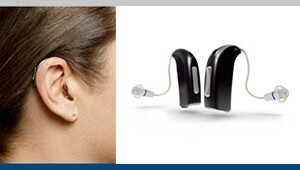 This hearing aid is suitable for anyone suffering from mild to severe hearing loss. Another advantage of these hearing aids is that the receiver is situated inside the ear canal with the rest of the instrument behind the ear in a case. It fits snugly inside the ear canal making it discreet. Style conscious people would love this as they come in various colors. There are several receiver in the ear (RITE) models available commercially with superior sound quality, clarity of the spoken words and comfort.